Industrial customers, from manufacturing to distribution, regularly engage Ayoka to work hands-on with their operations team to automate control systems and provide near real time transaction data: from the shop floor to enterprise resource planning (ERP) systems. In addition to systems integration with commercial products, Ayoka has performed custom software development and custom mobile applications development for industrial businesses throughout the Dallas / Fort Worth area. Ayoka has worked with manufacturers in the Dallas / Fort Worth area providing cost efficient automation and machine control software. Read some of our case studies to learn more! By their very nature, industrial manufacturers face unique challenges that require unique solutions. Slight variances in operating temperature or speed and resistance of machines components can mean thousands of dollars added to the bottom line. Ayoka’s custom software development services will help your business track operations and utilization of people and equipment for maximum efficiency. 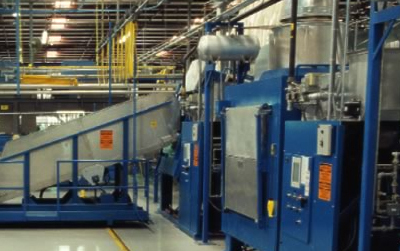 Automation and integration of factory machine controls can replace up to thousands of relayers, drum sequencers, and cam timers with a single, integrated automation system. Factory automation software addresses a variety of industrial and manufacturing processes and delivers precise, real time data on industrial machine settings for process control and acquisition and analysis of data. Ayoka’s experience in manufacturing software development, software integration, remote monitoring, custom software development, and PLC integration improves employee productivity at manufacturing facilities. 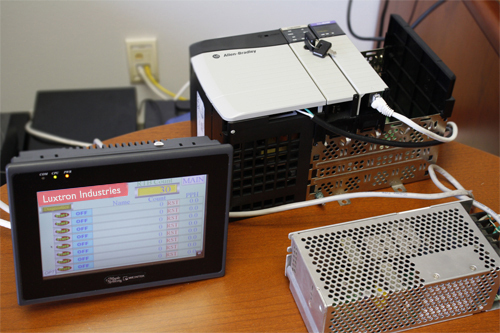 Often, improving manufacturing operations begins with PLC integration devices that can be accessed remotely. Through advanced software development techniques, it is possible to use a web browser as the human machine interface (HMI), providing much broader access to machine controls and monitoring. In addition to remote monitoring over the web, a data warehouse can be developed for reporting and business intelligence applications. The Ayoka business model enables an agile software development environment that instills confidence, work ethic, and creativity, while providing software development services to American entrepreneurs right here on our soil. This keeps America competitive both in education and on the global technology front. Ayoka’s approach to software design and database integration is based on our long-standing goal of building partnerships by becoming intimately familiar with your business, approaching challenges with creative thinking and technical expertise.